Windows 8 now available If you have a computer or laptop that running either Windows XP, Windows Vista or Windows 7, you may go to windows.com to buy your own upgrade copy of Windows 8 Pro (Professional) edition for only $39.99 . This is an extremely reasonable price and it will stay valid until January, 2013. 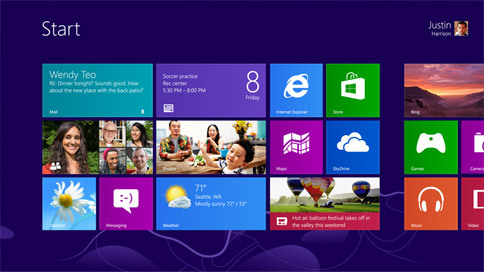 If you would like to try out Windows 8 before buying the upgrade pack, here’s an easy way. Go to msdn.microsoft.com, scroll to the bottom of the page and you’ll find links to download the 90-day trial edition of Windows 8. Microsoft provides these evaluation copies for developers but even consumers can download them for trying Windows 8.